It was love at first sight! We’ve been discussing getting a dog for ages, but now I’m thinking maybe we should get chickens instead. And possibly this German Langshan Bantam? What better than a productive (as well as gorgeous) pet? Speaking to Andy at Chicken Street has reassured me that this miniature breed will be very happy in the space we have to offer it in North London, but living near the corner of our street, I may have to stop and consider surrounding neighbours, and I haven’t quite mentioned my latest passion to my other half either…. So it may be (quite) a while yet, but there’s no harm in looking is there? 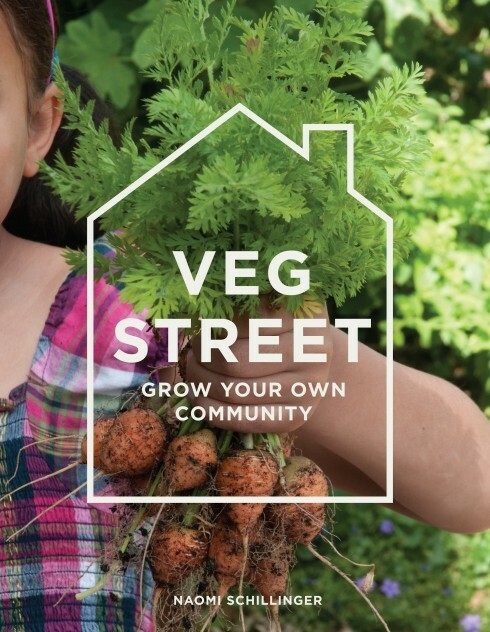 I was delighted to give a talk yesterday at The Edible Garden Show about our veg growing project and my book, and had a great day seeing what this Coventry show had to offer with fellow N. Londoner and veg enthusiast, Owen. There were plenty of seed stands and I picked up a couple of packs of James Wong‘s unusual veg to experiment with on the Sutton’s stand, whilst Owen found the squash seeds of his dreams on the Sea Spring Seeds stand. I was also looking to see if steel-toed rubber clogs existed (they don’t! ), when these tasty Midline Grubs boots caught my eye. 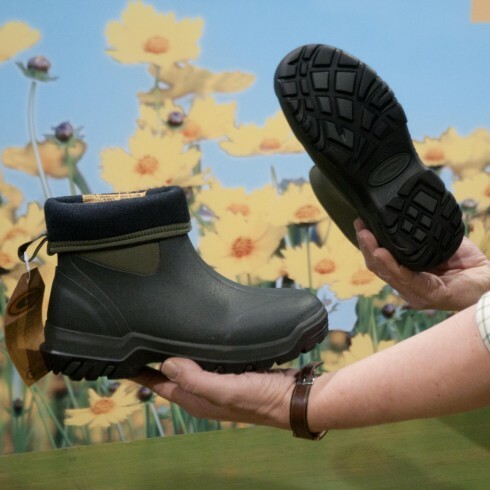 They’ve got a great tread and a charming foldable neoprene leg, but sadly no steel toes. At a special show price of £55.00, still a tad on the expensive side (or is that just me? ), but on my wish-list none-the less! After three years at its Midland’s home, the show will be moving down to Alexandra Palace in North London next year to a bigger hall. I do hope the livestock will come with it too, as it was a real treat to see these gorgeous creatures and talk to the experts in the smallholder marquee. And more independent and specialist nurseries and seed companies, as well as the big boys, would be wonderful too. 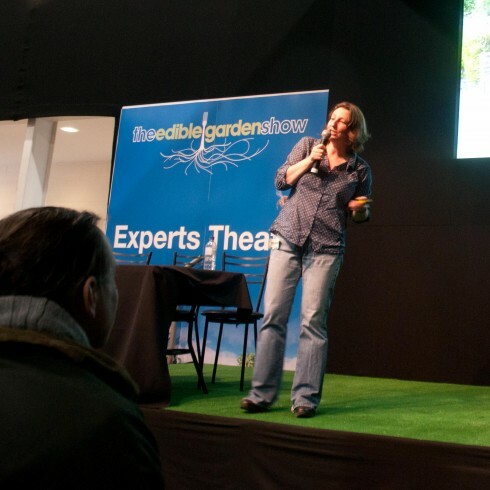 If edibles are your thing, there’s still plenty of time to catch the show this weekend in Stoneleigh Park (9.30am -4.30pm Sat and Sun 16 and 17th March), and there’s a plethora of talks to entice you from Alys Fowler and James Wong to Bob Flowerdew and Tom Moggach. Enjoy! if only we had a magic carpet…. Gorgeous post and I now want those boots. 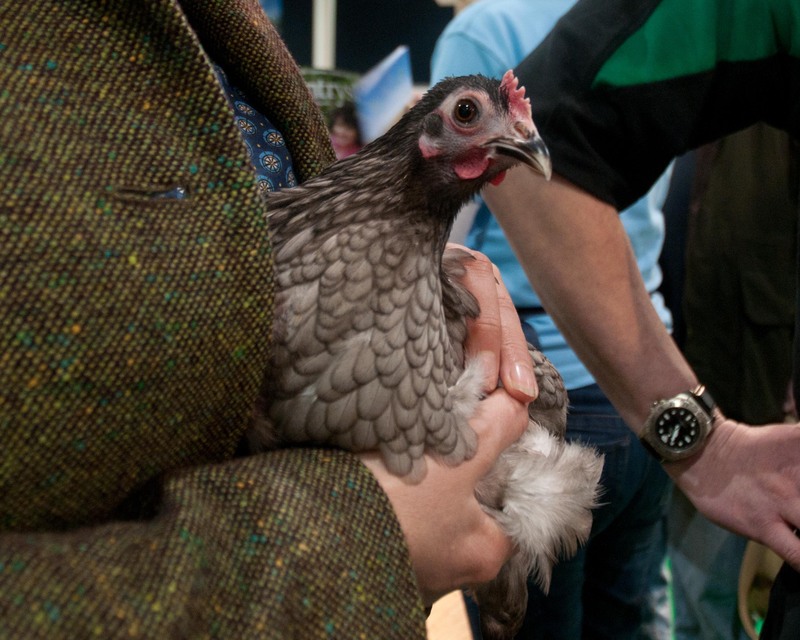 I was at a book launch just this week for A Good Egg http://www.randomhouse.co.uk by Genevieve Taylor who has hens. It’s not about hen keeping more about what to cook with 3 eggs a day.Her food (using eggs) at the launch was sublime. And congrats on the two page spread in the Guardian today for your book. Exciting times. Hi Sue, have just received Charlotte’s great review of Genevieve’s gorgeous looking book, so have added a link to the post to the post. Delighted with the Guardian spread. And still lusting after those boots too! I had wondered whether a show so early in the season would work (especially as the gardening section I saw at The Ideal Home Show a few years ago didn’t), but it did. We just need to get some spring-like weather now, to really get stuck into the new gardening season! Hi Michelle, Great to see you at the show yesterday. All those gorgeous animals-now have very rural longings. Really enjoyed the show and llooking forward to seeing how it grows next year too. Hi Naomi, thanks for the link, glad you liked the review. But the way our garden is arranged I just can’t see where they would go — might have to take a quick look at the chicken street site though! However, I do have friends with a garden only marginally larger than ours, who keep two Marans (also very pretty, and very friendly) in small coop in terms of its footprint coop, but it is tall and airy, they let them out under supervision for a couple of hours a day. I’d say go for it! As for the dog… much as I love ours, dogs involve more work and they don’t lay eggs! Hi Charlotte, Have now started coming up with elaborate plans for making space for chickens. A friend thought that on top of our flat kitchen roof might just do the trick, then I could install a long walkway for them to come down to the garden when I was out gardening-think this could work! Or maybe just move house….. 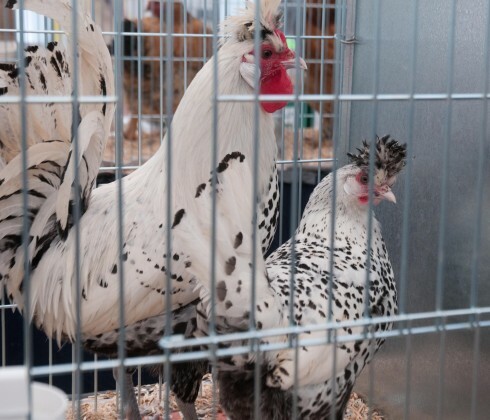 Both Marans and Lacy Wyandottes look very tempting too! I too am debating the chickens or dog dilemma! Love dogs and the idea of all the forced exercise they would provide me with, but the thought of going into the garden to get eggs for breakfast or baking is just so tempting! Maybe one day, I’ll be grown up enough to have both! Hi MS, It’s all a bit of a dilemma isn’t it! Happy with the exercise bit, just would need a dog that didn’t dig if it were to accompany me to clients’ gardens. So maybe chickens are easier in that respect, only destroying my own garden (and neigbours peace and quiet)…..the ruminations continue…. Hi Naomi, VP alerted me to your talk at the EG show, how exciting for you and pleased to read it went well. Deserved success, if I may say. Lovely to hear the show is coming to Ally Pally next year, just a short hop from home. I used to live in Yorkshire near to pig farms and have a soft spot for pigs. Would love to keep chickens one day, very impractical at the moment, especially woth urban foxes on the prowl! Urban foxes and cats galore may be rather fascinated if/when chickens move in. The chicken run will be nice and sturdy though! 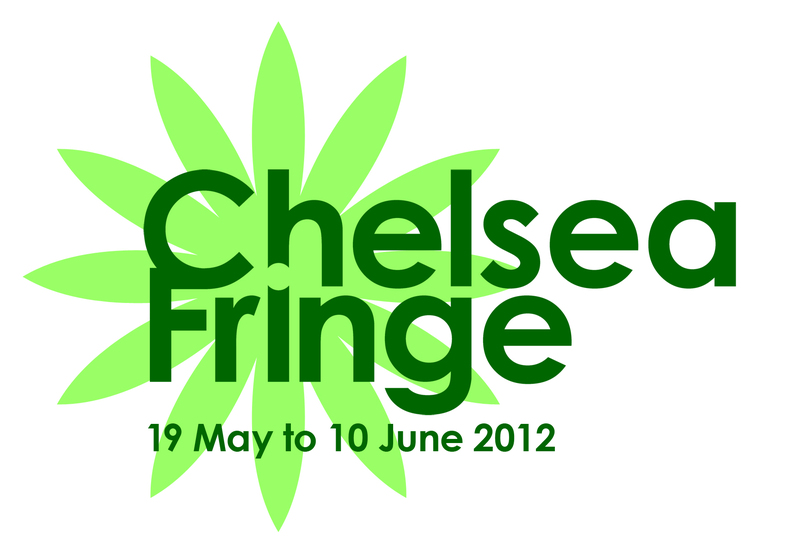 Really looking forward to the show coming to London and it’s only 15 mins drive away from us-huurah!! It was great to see livestock as well as fruit and veg. Talks were a real bonus too! I really wanted to go to the EG show but unfortunately couldn’t. After reading your post I am definitely not going to miss next years. Hope to see you there then! BTW chickens without a cockerel wont make that much noise and you can always bribe your neighbours with cakes made from your own chicken’s eggs…. Hi Laila, Like all these positive sounds! Moving closer to getting the girls to move in! Thanks for helpful words! The show sounds fab and well done on your talk! That must have been awesome. I too desperately want a dog, chickens, ducks, pigs, pygmy goats…. you name it! We can have chickens up at our allotments and a couple of people up there have had them. They found them really hard work though and it’s really put Adam off, so he’s putting his foot down at the minute. I’ll keep working on him! Very nearly bought a dog a few weeks ago but we’re just not home long enough during the day. It’s heartbreaking, I grew up with animals and long for the day when I can have some more! I love the photo of the chicken at the top of your post – it’s ace! Hi Anna, she’s the chicken of my dreams! Still haven’t quite convinced other half yet, but like you, working on it! Think I need to do some chicken visits. I do have a neighbour round the corner who keeps a few birds, so will start there first, and I feel a visit to Chicken Street in Shropshire might be on the cards too! Hi there – what a shame we missed each other the the Edible Garden show! I was giving a talk on egg cookery/chicken keeping with Andy ‘Chicken Street’ Cawthray yesterday, but I think (reading your post) you must have been there yesterday. Maybe next year!! 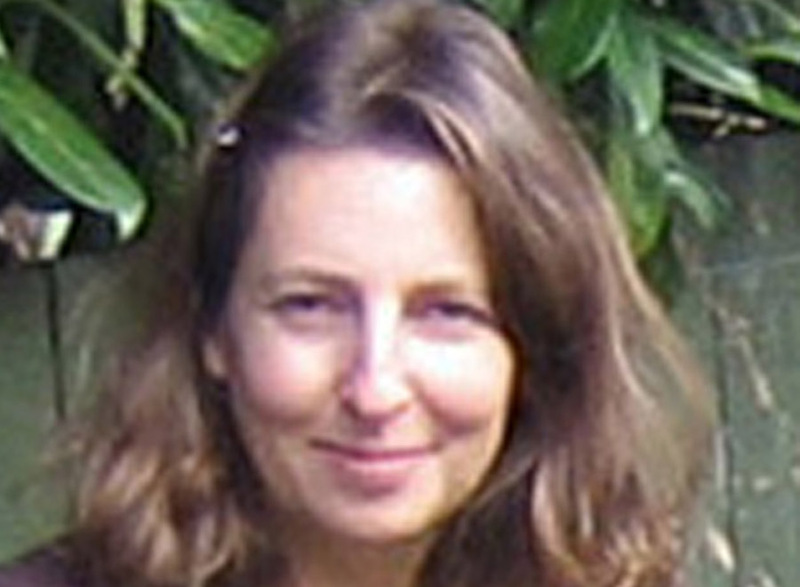 Genevieve Taylor (A Good Egg author). We’re inundated with eggs at moment, our hens seem to be laying a daily average of 10 eggs! They’re lovely to have though, and they’re manure is great for the garden! Hi Hannah! 10 eggs a day! Think I could start a barter system with my shop at the end of the street! Manure good for the garden-sounds fantastic! They’re manure is good but they’re rooting is not! I have to germinate more nasturtiums after I caught them happily frolicking and clucking in my freshly planted out seedlings. Hi Hannah, I’m going have to lossen up about the garden if we’re all going to live happily together-I can see that now! But I think it’ll be worth it! The little pig is just so cute 🙂 Not sure what he would make of our garden though! 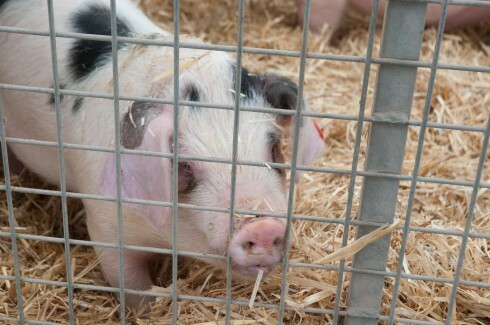 Hi Mark and Gaz, I think this little piggy is a Gloucester Old Spot (of Bertie Wooster and Blandings fame). I think it would love your exotic garden as it could lounge around in the shade of your Scheffleras and Daphiphyllums! HI WW, had a very good day. It was a good sized show where you could manage to get to see all that you wanted to within a day. Goats may have to wait, but chickens hopefully will be accommodated soon…. Congratulations on giving the talk! I’m sure you were brilliant, your blog always has been. We’ve had our 2 chickens for about a year – they’re great fun!And there’s nothing as satisfying as sitting down for a breakfast involving your own home grown eggs! Hi Janet, Nothing better than your own fresh eggs! That’s exactly what I think too! What sort of chickens do you have? And how much space do they live in? Any mite problems? -getting slightly obsessed as you can see. I heard those chickens clucking on Gardeners Question Time on Sunday 🙂 Beautiful creatures as is the little pig. Congratulations on being asked to give a talk – hope that you reach the northern show circuit in the future.